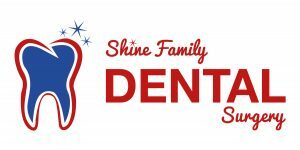 Shine Family Dental surgery is built on over 10 years of experience and consultation. Registered with the Australian Health Practitioner Regulation Authority (AHPRA), the team at Shine have the motivation of being the best we can be. Through continued education and investment in the latest dental technology, we leave no stone unturned to ensure we provide a service to customers that we can be proud of. At Shine Family Dental Surgery we love what we do and have the patience to listen, discuss and explain any treatment that you may require. Our competitive prices and financial assistance programs mean that a trip to the dentist no longer has to be seen as a financial burden. We will complete a treatment plan that is relevant to you or your family and work together to ensure that your teeth stay and remain healthy. We offer transparent services in general dentistry, orthodontics, cosmetic dentistry, dental implants, wisdom teeth extractions and teeth whitening.